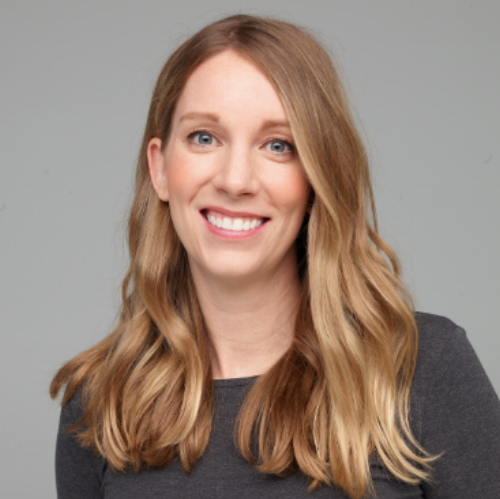 Lisa Seacat DeLuca is a Distinguished Engineer for IBM Watson Internet of Things where she leads a team called the App Factory, focused on bringing IoT use cases to market. Lisa holds a Masters of Science in Technology Commercialization from the University of Texas McCombs School of Business, and a Bachelors of Science in Computer Science from Carnegie Mellon University with minors in Business Administration and Multimedia Productions. This year, LinkedIn named Lisa one of their Top 15 Female Voices to Follow. In 2017, Lisa was inducted into the Women in Technology International (WITI) Hall of Fame, was named #2 in LinkedIn’s Top Voices in Technology List, named as a Top Women in Tech IoT Influencer by Onalytica, and received an honorary PhD from Claremont Graduate University. In 2016, Lisa was named one of the Most Influential Women in IoT. She was named one of MIT’s 35 Innovators Under 35 in 2015, as well as, LinkedIn’s NextWave of 10 Enterprise Technologists Under 35, one of Fast Company’s 100 Most Creative People in Business, and IBM’s Working Mother of the Year for Working Mother Magazine. In 2014, she was named one of Network World's 50 Most Fascinating People in the World of Technology. She is a TED speaker, a self-published author of two children’s books titled "A Robot Story" and “The Internet of Mysterious Things”, and the most prolific female inventor in IBM history and the only one to ever reach the 100th Invention Plateau Award (an IBM internal patent award system). Her innovation portfolio includes over 600 patent applications filed within the United States and abroad, of which, 300 have been granted, to date. The subject of her patent ideas range from areas such as cloud, mobile, IoT, social, security, cognitive, commerce and everything in between. Lisa is an AAAS-Lemelson Inventor Ambassador where she increases visibility to the importance of innovation. Lisa has spoken at numerous tech conferences and written articles to share her technology and innovation passion with others. The groups and programs that exist today are astonishing. It's exciting to see the communities that have come together to support and expose our next generation to STEM. The first step is feeling comfortable enough to make the leap from a hobby to a lifestyle which starts with that exposure. The challenges is that, often times, females in particular put a lot of pressure on themselves to do well immediately. This is a mistake. Learning anything takes time and each person must give themselves the chance to fail to really learn. What Project Ella is doing to put a spotlight on women and their successes in STEM is showcasing these individuals and in doing so, helping to show little girls that they can do it too. I'm lucky at IBM to be surrounded by executive females who inspire me each day: Ginni Rometty (CEO), Marie Wieck (GM Blockchain), Harriet Green (GM Asia Pacific), Susan Cohen (VP Tech Strategy), Stacy Joines (Fellow & CTO Watson Implementations), Pamella Nesbitt (Distinguished Engineer, Watson Heath), Rhonda Childress (VP & Fellow IBM Security) to name a few ...and all the incredible male leaders who recognize and encourage diversity. At IBM we have a title called "Master Inventor," which is bestowed upon individuals who have not only received granted patent applications but who have also given back to the inventor community. These Master Inventors sit on our invention review boards, where they serve as subject area experts who understand the "prior art" - what already exists - in the technical topic spaces. They also give presentations to groups inside and out of IBM about the importance of invention. However, when I became a master inventor I felt like something was missing. It didn't feel right to call myself a master inventor without having filed a patent application myself without the help of an attorney. So, I decided to do something about it. First I came up with an invention that I thought was patentable. Next I asked IBM for a disclaimer of title, which would allow me to pursue this patent outside of IBM. I then wrote the application myself. It was an incredible process where I learned more in that single invention than all of my other 700+ combined. I wrote the entire thing from the background and specification, drew the figures, and even the claims. Next, I navigated the USPTO patent filing process with the various forms and filing fees, responded to office actions and spoke to my examiner on the phone. After all that hard work the invention was granted as United States Patent No. 8,589,192.